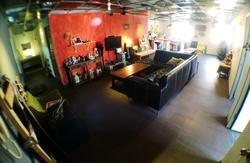 Definitly, the 'home-like' hostel that you expect in its best, 15 min from the train station. 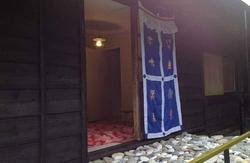 If you come to Hualien to get inspired by its nature beauty, then you will stay in taroko 18 for enjoying the friendly atmosphere, the clean japanese style rooms and our new making dream machine ! You are here in a family hostel, so you'll get access to every essential services that travelers need : laundry, free internet, maps and trip advices, personnal bathroom with hot water, kitchen, high size TV and a terrace at the second floor for taking delight in taiwanese green tea. 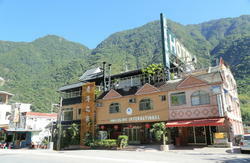 We usualy recommend to leave Hualien train station by the REAR train station. In front of you, you'll have the Fu an Road, just turn left and go straight. while you walk for 500 meters, you'll cross a big avenue call Zhong shan road and other small streets, just go straight until you reach a big store call '199' on the left side. Turn left and go straight, until the next cross road with a seven/eleven on the left. You'll have to turn right, then right again and ... here you are ! Not too easy, I know, but if you can use the map of the photo, you'll be able to make it !